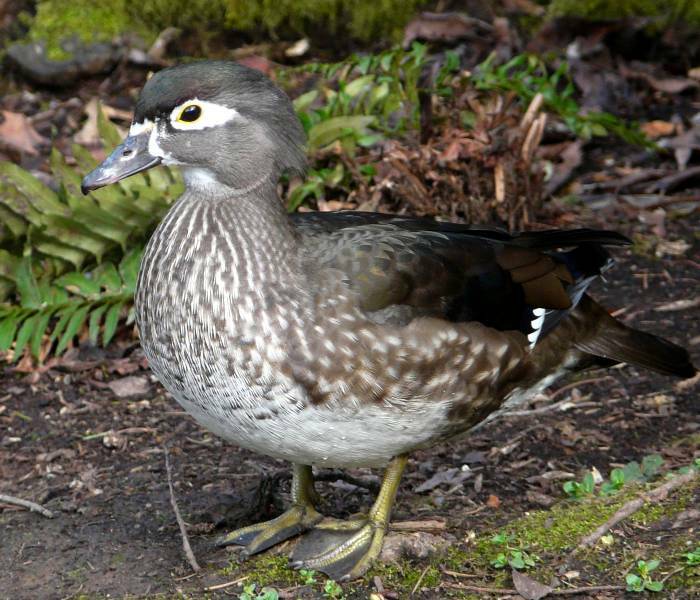 I visited Crystal Springs Rhododendron Garden (Birding Oregon p. 69) on May 28. This site is best known as a good spot for wintering waterfowl. 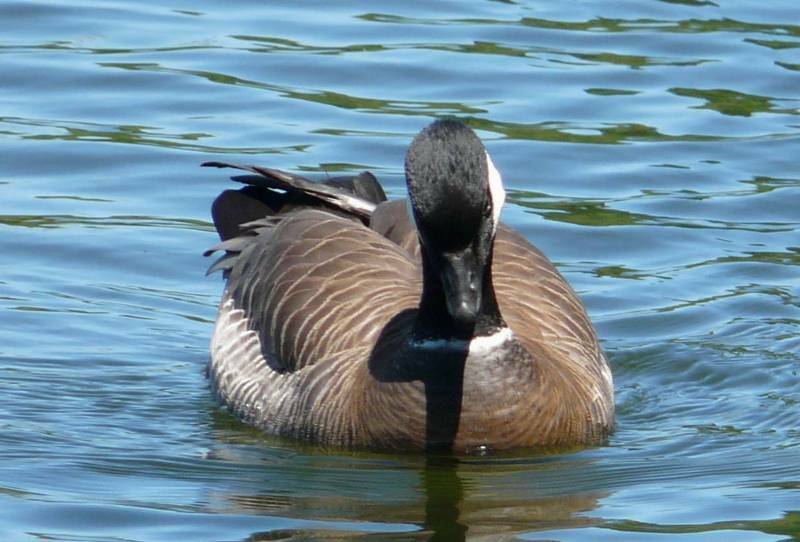 This late in the spring, most of the ducks and geese have moved on, leaving just a few resident species. But even with the lower diversity, it is still nice to be able to get such close looks at birds that are normally much more “wild” in other locations. Wood Ducks are always a treat. This male Wood Duck was in a tree, providing a view of the white throat. 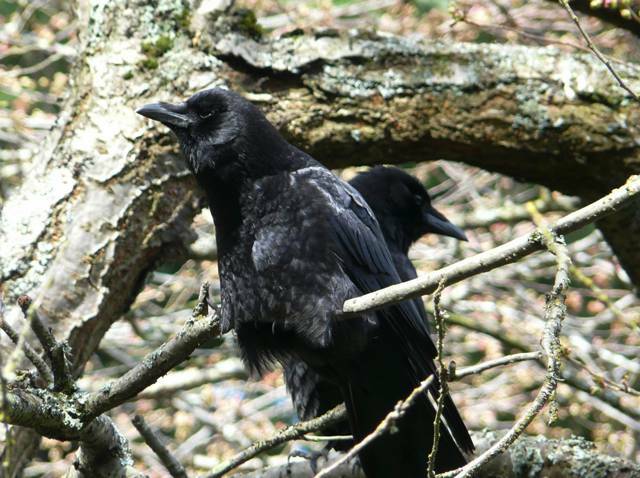 American Crows in the bright sun showed some interesting feather patterns. Two Cackling Geese (Branta hutchinsii minima) were still present. This is a very late date for this species to still be in Portland. This species nests on the Arctic tundra, so most have left by mid-April. Perhaps these two thought that a summer on the duck pond would be nicer than flying all that way. 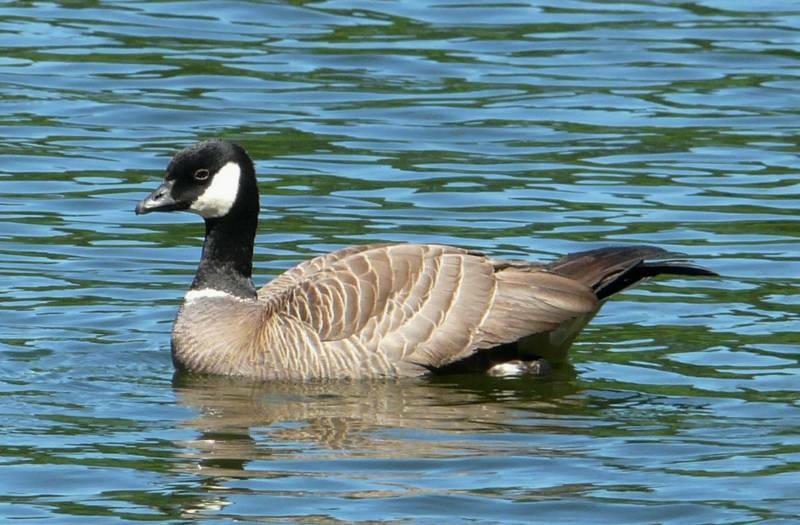 Here is another view of the Cackling Goose. Notice how far the wing tips extend beyond the tail. Long wings are typical for species that migrate long distances. This entry was posted in OR Birding Sites, seasonal movements and tagged American Crow, Cackling Goose, Crystal Springs, Wood Duck. Bookmark the permalink. 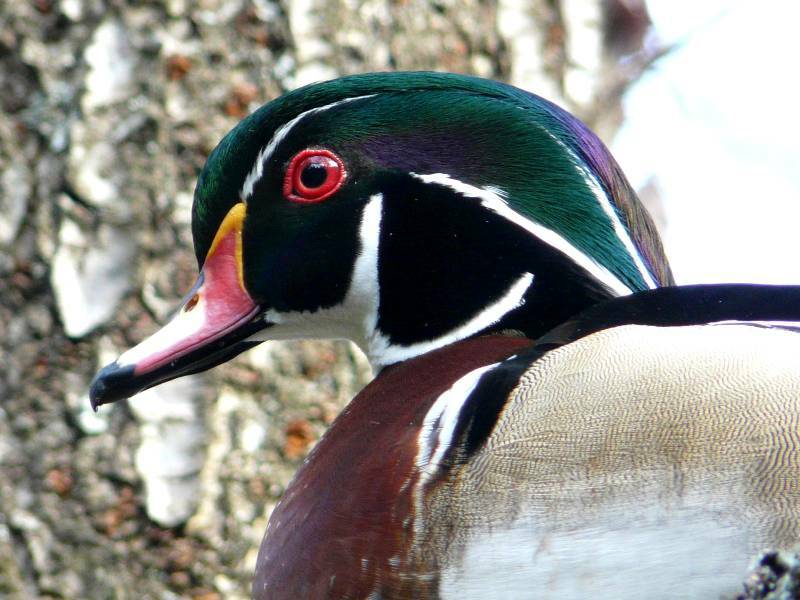 Can I just take a moment to brag that we had a male Wood Duck in the backyard the other morning? So cool! Nice photos you have here today!